There is a reoccurring theme amongst extremely authentic restaurants that reside within the colorful streets of Miami. 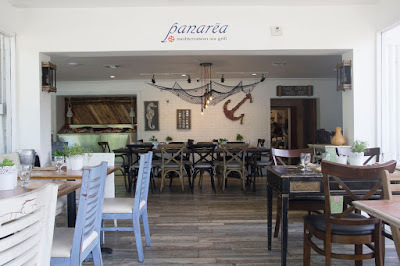 I don’t know how many of you have had the pleasure of experiencing Panarea Mediterranean Sea Grill— but the unassuming joint screamed ‘family owned’ at a glance and that’s when I knew I struck the jackpot with yet another hidden gem. The Restaurant is named after the second smallest island of the Aeolian chain of volcanic islands in Italy. I can testify that this is the one place you’ll experience the umami flavors that typically dwell in the Mediterranean, perfectly balanced with soothing flavors. I can’t name any other place you’ll find capers larger than your average cherry tomato and mouthwatering sea urchin pasta. But thanks to Panarea Mediterranean Sea Grill— Miami Shores now has it all. First and foremost, chefs Luca Delogu and Claudio Sandri are expert matchmakers of food and wine. Every bite has a soulmate and it couldn’t be more evident they searched near and far to pair each meal accordingly. Aside from their extensive knowledge wine they have also managed to curate the tastiest dishes of cultures ranging from southern Spain, France, Italy, Greece, Turkey, Israel, northern Africa and brought them all to one menu. To kick off your senses, you'll want to start off with a light starter like ‘Sarde Marinate’ pungent marinated sardines with a side of cool cucumber-tomato salad. Followed by a personal favorite— a Tunisian specialty known as ‘Kes Kow Bil Hout’. 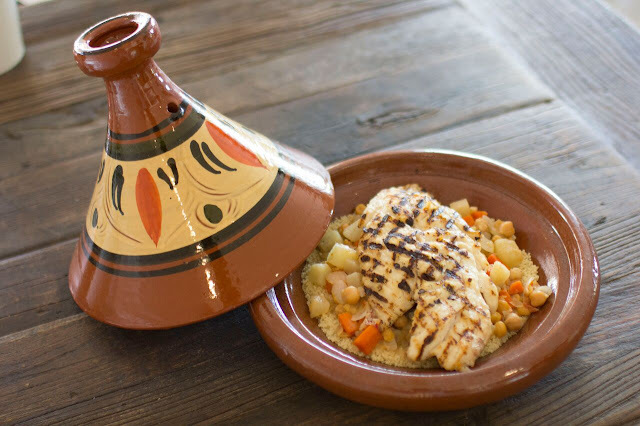 It is essentially a grilled snapper on a bed of aromatic couscous. Undertones of cinnamon and harissa spices are deliciously encapsulated in a traditional clay tagine pot. Both dishes, along with everything else on the menu are savory history lessons on each country and their corresponding flavors. In the end, we enjoyed Crema Catalana, a traditional Spanish crème custard who I’ve pronounced as crème Brule’s better-tasting sister and a delicately grilled Fromage Brie with fresh figs pistachios and honey. At Panarea Mediterranean Sea Grill, comfort food takes a new shape. Their bold flavors will awaken every taste bud, simultaneously put them to rest, and wrap them up in a bow with a delicious desert... or two ;).